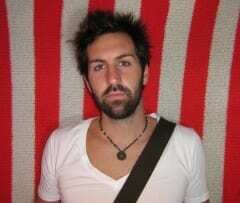 Musician Josh Kelley is working on a country project through his new deal with Universal Music Group Nashville. Kelley signed with the label in September and is currently in the studio recording an album slated for release in 2010. Formerly a pop/rock artist, Kelley is a one-time Music City resident who has returned to Nashville. He was previously signed to Hollywood Records and has five studio albums to his credit. On the family front, the Georgia native is married to actress Katherine Heigl (Grey’s Anatomy, 27 Dresses, Knocked Up) and is brother to Lady Antebellum’s Charles Kelley.